The Crankcase Breather of Champions. Need Help? We're just a click away. One of our experienced representatives will gladly answer all of your questions prior to making your purchase. Made in the USA Quality is very important to us. CFM Performance products are made right here in the USA because we refuse to compromise on quality. Satisfaction Guaranteed If you're not happy, we're not happy. We want your shopping experience with us to be a pleasant one and that all products ordered from us meet your complete expectations. Fast Shipping We know you needed it yesterday. Shipping all orders in a timely manner is one of our top priorities. 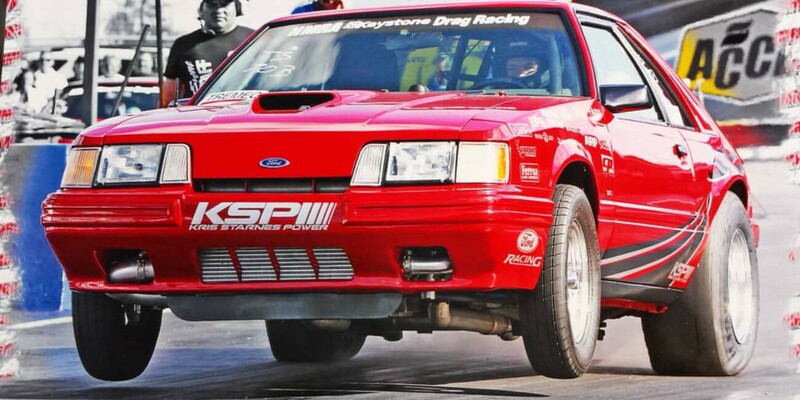 We offer multiple shipping methods to assist in getting your parts delivered when you need them. CFM Performance valve cover breathers are the best money can buy and is the reason they have become extremely popular so quickly. 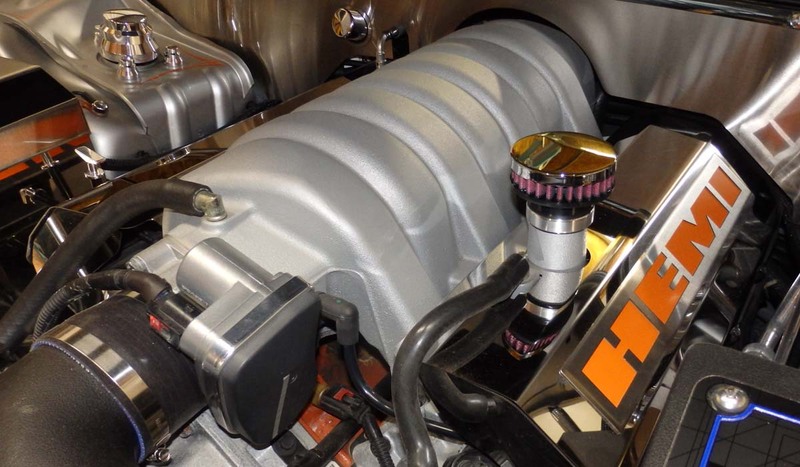 They are so much more than a pretty filter on top of your valve cover and offer features that no other kits offer. 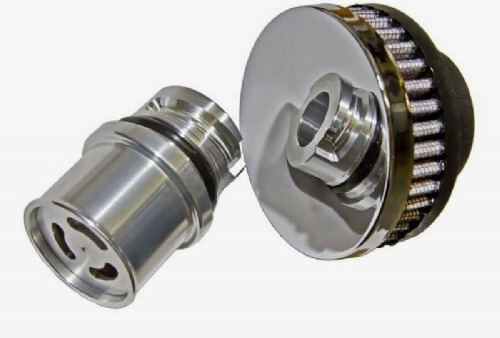 It is the only breather on the market which incorporates a check ball to keep unmetered air from coming through while the PCV system is active and the crankcase is under vacuum. In other words, this breather works just like a factory oil cap under normal driving conditions but will vent any positive crankcase pressure present under full or part throttle. It is also the only breather with an integrated baffle to help contain oil particles in the engine rather than allowing them to exit the valve cover and saturate the filter element. 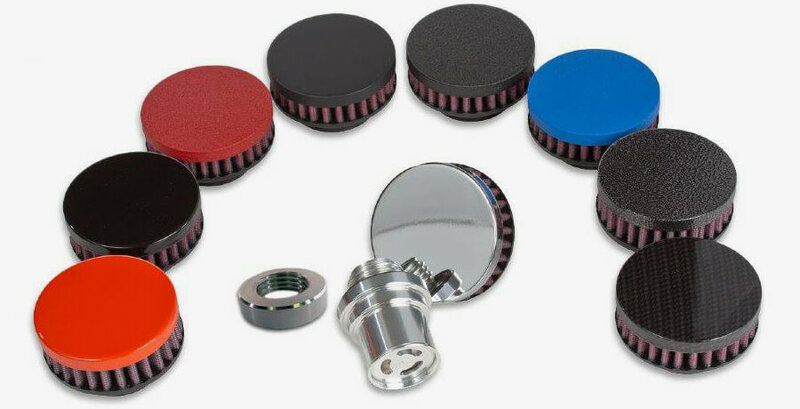 Filter tops are available in several popular powdercoat finishes, chrome, hydrocarbon and select OEM colors. Still have questions? Click here to send us an e-mail. With a CFM Performance engine breather, your Ford can let off pressure. Tag #CFMBreather on Instagram and become part of the CFM Performance family. Our customers love our breathers.